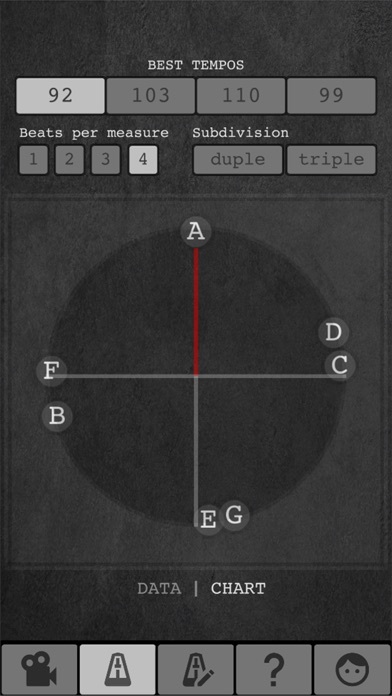 Tempo finder for film scoring is an app to help music composers find the best tempo for a music cue. 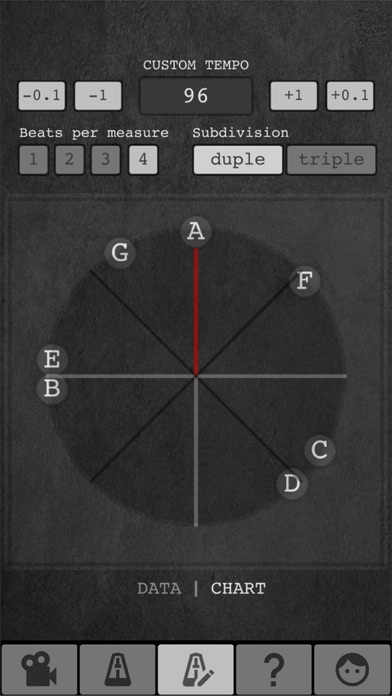 This application makes it easy to find a tempo that is perfectly synchronized with the scene, something essential on composing music for a film. Enter between 2 and 8 relevant timecodes of a cue. The lowest timecode will be considered the start of the music cue. Select the appropriate movie frame rate. Available frame rates: 23.976, 24, 25, 29.97 DF (drop frames), 29.97 ND, 30, 48, 50, 59.94 and 60. 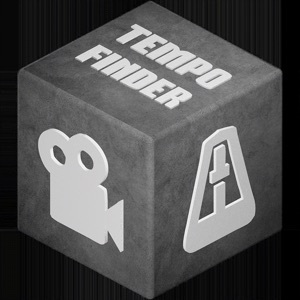 Enter the lower and upper tempo range to find the best tempo and select the minimum step for the finder. 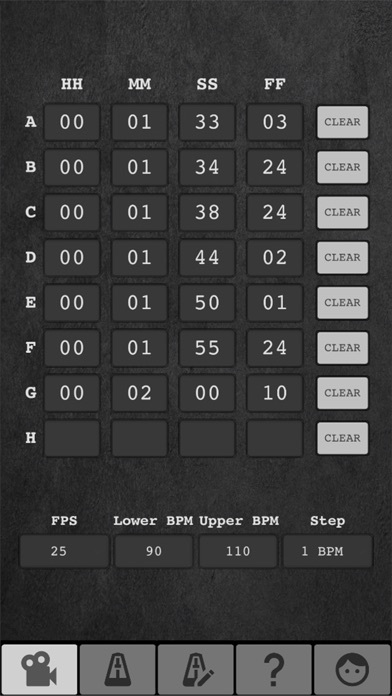 Click on the metronome to calculate the best bpm for your cue, or click on edit to enter manually a tempo to check it. 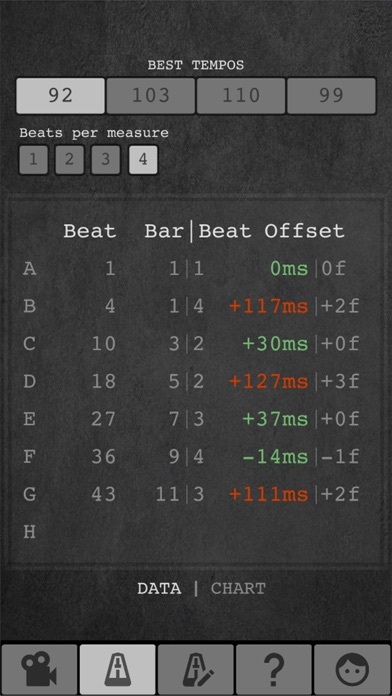 In the data panel, you can see the offset for a selected bpm (milliseconds and frames) depending on whether the nearest beat is before or after each timecode. 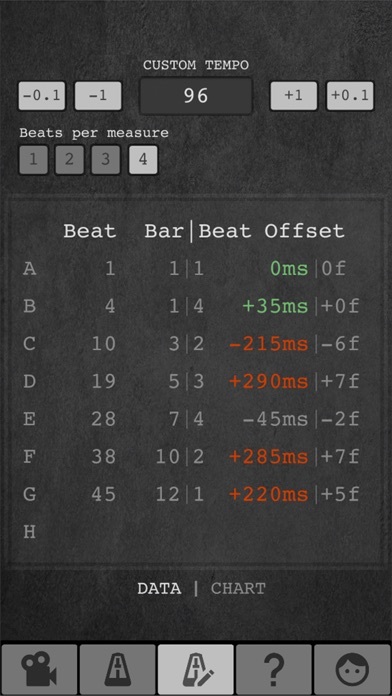 The chart panel is a more illustrative way to see where each timecode is in a measure for a selected tempo.